The internet can be a wild and dangerous place even though it is often a bastion of knowledge and community building. There are a lot of scams out there that would take advantage of the fact that so many internet users are actually not all that tech savvy, hoping to lure them into downloading something annoying or even malicious. A good example of this can be seen in the slew of apps that have been seen on the Google PlayStore. These apps are very obvious scams, but in spite of that a lot of people are falling for them. The apps basically promise users that they would be able to gain early access to the latest Android update if they choose to download. What’s truly inane is that some apps promise an update to “Android P” or “Android Pie”, which isn’t even the name of the next planned Android update. 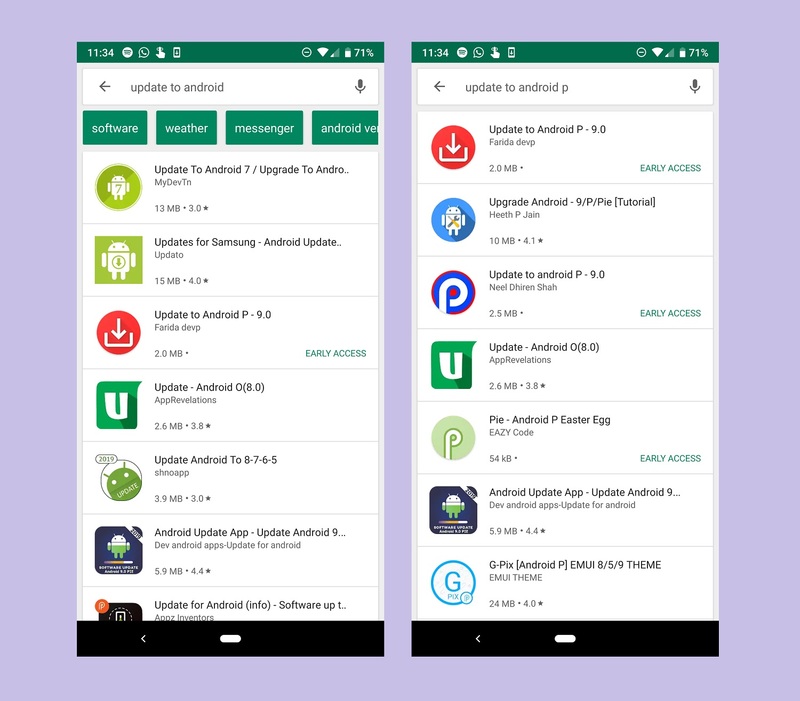 The next update is referred to as Android Q, so the fact that the apps have been named like this indicates that the creators might not be up to date on such matters. Also, the fact that all of the apps make this mistake might mean that they all come from a single source as well. When you download the app you are forced to watch ads on repeat, and the truly insidious thing is that the app requires you to give it a five star rating in order to use it as well. This has made the apps appear highly ranked which has made it more likely that people will trust them. Google is apparently working on getting rid of these apps from their PlayStore and will be working towards preventing such things from happening again. Play Store users are advised to avoid (and never install) such apps that promise to update your old smartphone to a newer Android version. If you ever find such apps report them immediately.